Our window clings have always been a crowd pleaser but we’ve made them even easier to design and order! 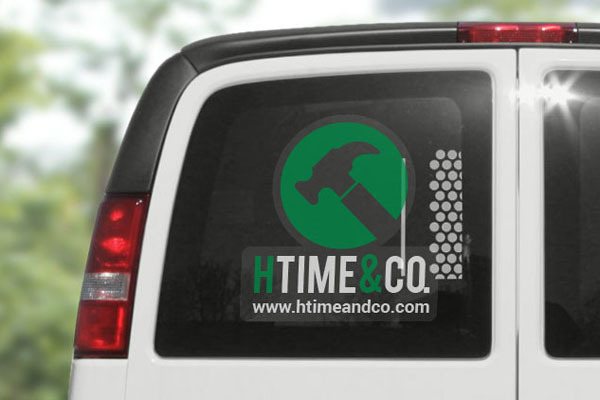 You can now create your own large window clings up to 24” right within our Sticker Maker without having to get a quote or place a custom order. That’s right, you can design custom clear static clings yourself on our website and we’ll ship them right to your door in time for your sale, promotion, signage installation… you name it! They’re removable and reusable, which makes them an affordable signage tool for seasonal promotions or use on vehicles. Keep them on temporarily or permanently according to your needs. They’re durable so you can trust that they’ll stick strong to your surface for months at a time in rain or shine. You can stick them on all kinds of smooth surfaces including windows, glass doors, mirrors, and vehicles. They use the power of static electricity to adhere in place so they won’t leave behind any sticky residue on your surface. There are no minimum orders! Order as many or as few clings as you need. Deck out your vehicle windows for affordable advertising on the road. You can make a quick switch from business to personal vehicle use by simply peeling off the cling and saving it to stick on again later. 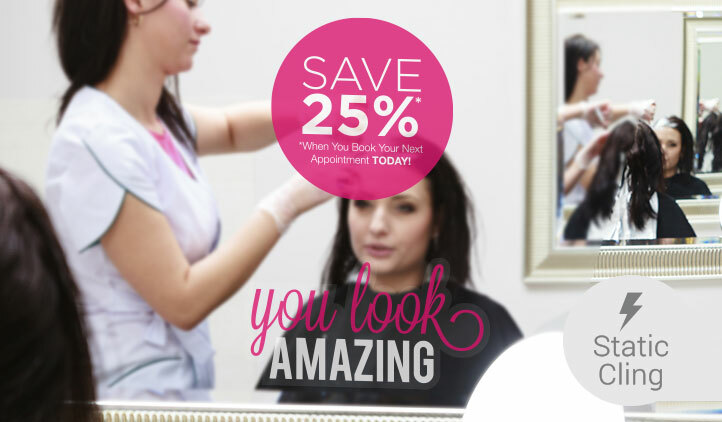 Apply clings to mirrors at salons and spas to promote events and deals within your business. Amp up your storefront signage for seasonal and annual sales like Black Friday. You can remove your cling after the event and save for reuse next year. Take advantage of unused glass space on refrigerator and freezer doors at bakeries, desert shops, butcher shops, or other food shops. Window clings are a fast, easy and effective way to add your branding or signage to spaces in your small business. Have an idea or a few questions about this product? Fill in our quote request form and a sales person will be in touch with you shortly.